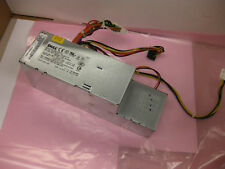 Dell Opti P lex 330, 360, 580, 740, 745, 755, 760, 780, 960. Dell P/N: PW114 / 0PW114. Compatible with select Dell mini-tower (MT) Computer system including Max Output Power. Includes the blue plastic cable organizer (as shown). Output : 305W. Optiplex 380. Optiplex 740. Optiplex 745. Optiplex 755. Optiplex 760. Optiplex 780. Dell Part #. MPN: PY536 0PY536. Model: Optiplex 740 745 755. Dell Optiplex 330. Dell Optiplex 740. Dell Optiplex 745. Dell Optiplex 755. Type: Power Cable. Most printers go to the refurbishing process after the order is made. Dell P/N: WU142. OptiPlex 740 / 745 / 755. Used in Dell SFF (Small Form Factor ) computer system case including (this is not a complete list) Max Output Power. No product liability is included under any circumstances. This was pulled from a working Dell OptiPlex 745. Optiplex SFF: 740, 745, 755, GX745, GX755, GX740 GX520, GX620. 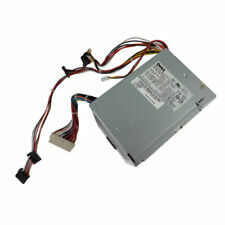 NEW SATA Extender Plus 3-Pin Slimline Optical Drive Power. Fits Dell Part Number: YG554. Our approach to tech recycling allows us to utilize perfectly good products that would otherwise head to the landfill. Dell P/N: JH994. Dell OptiPlex 320, 330, 740, 745, 755. This is a genuine Dell product pulled from new, unused Dell systems. This is not a factory-sealed item but a new item recovered from system. Max Output Power. Optiplex 210L 320 330 GX280 GX520 GX620 740 745 755 760. - 6-Pin Dell Power. Condition: New. - (2) 4-Pin Molex. Part Number: W8185 M8802 M8805 M8806 X8129 C9962 CC947 YH542 MC164 UH870 C5201 D5032. - 24-Pin ATX. (A representative will respond quickly. Model Number: GK929. Manufacturer DELL. This item passed all key functionality tests. 7) Prompt service and repair. These power supplies have been tested and are in 100% working condition. 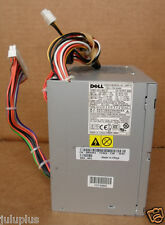 These power supplies are compatible in many Dell OptiPlex lines (740/745/755). These were pulled from working Dell OptiPlex 745’s. Part Number: MH596. Dell Optiplex 740 745 755 280W. DP/N: PF3TR. Optiplex 740 745 760 330 960 755 320 780 580. PART# P9550. SEE PICTURES FOR CONDITION. We will respond promptly to your inquiry. Item Location. Minor signs of previous use such as scuffs and scratches. 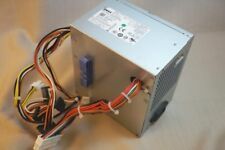 Dell Optiplex 740 OEM 305W PSU Power Supply PS-6311-5DF-LF NH493 TESTED FS! (Each unit tested with Optiplex 745 - see installed pictures above). Long cables to be used in mini or mid tower cases. Special slippery circular tube design black anodized fan-guard allows air to flow in smoothly and quietly while providing protection against unintended installation injury. But there will be rare occasions when my best efforts are not enough and the item you have received has problems. I am easy to work with. I will do my best to answer promptly. Add to Favorites. CONDITION: The Item that has been used previously. Part Number: MH300. Compatible Part Numbers: MH300 0MH300 CN-0MH300 RM117 YK840 YD358 N8368 XM554 FR619 PW124 WU142. 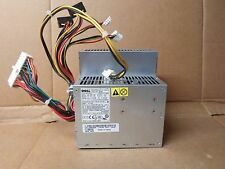 Fits model(s): Genuine OEM DELL OptiPlex GX740 GX745 GX755 Small Form Factor PC. After the necessary information has been provided, we will arrange for the item to be replaced. ITEM IS USED IN WORKING CONDITION. Dell Optiplex 735 740 745 MT N305P-06. Honey-comb rear vent structure for improved ventilation. Better Design than the Original Dell OEM. Since the fan is situation inside the system, and not at the back of the PC system, audiable fan noise is greatly reduced.